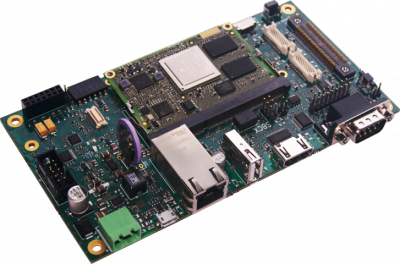 DAVE Embedded Systems' Single Board Computers are the perfect off-the-shelf compact ARM solutions. 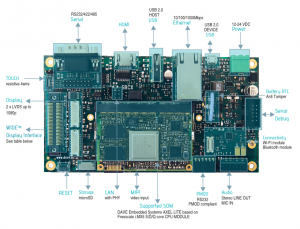 This hardware proposal by DAVE Embedded Systems is completed with SW solutions (SoftPLC, QT, RTOS) which permit to reduce overall system cost, and making SBCs ideally suited for deployment into a wide range of cost-sensitive and robust industrial applications. Please visit SBC AXEL Web Page for more product information. This category collects all the pages specific to SBC AXEL. This page was last modified on 11 November 2016, at 10:12.